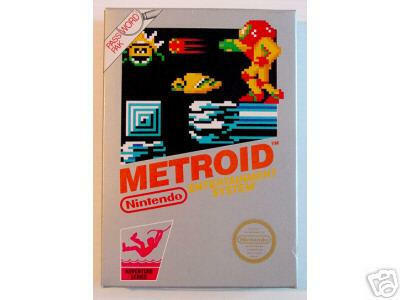 Metroid is one of the first non-linear action adventure games on the NES that featured really fun action and gameplay. The Legend of Zelda had more exploring but it didn't have as much white-knuckle action gameplay that Metroid has. If it were not for Metroid, there would be no Castlevania 2 and Symphony of Night. The story is pretty good for a sci-fi game. When I was the 9 years old, I thought it was pretty cool. The graphics are pretty damn good for being a first generation Nintendo game and only using the first cartridge chip set. 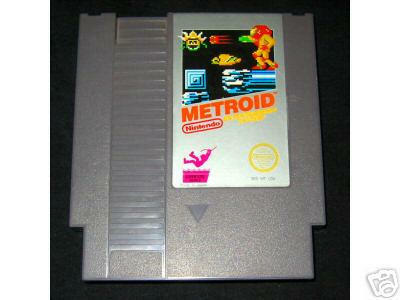 Also, Metroid was the first real game to have a female hero that wasn't Ms. Pac-Man. At the end of the game, you will find out who Samus REALLY is. You would gradually upgrade Samus with the items that you would find and unlock more abilities and areas as the game progressed. The music was very moody and catchy but it created some great moody effects and was a good change to the super happy Mario style music that came before it. The sound effects on the doors are still really cool. The game originally shipped on the Nintendo Famicom Disk System in Japan so the game's progress was saved to the floppy disk. The Floppy Disk system never made it to the states so a password system was added. This is actually my only complaint in that it became a bit of a pain to use the password system. However, it probably shaved 10 dollars off the price by not using a battery in the cartridge. The United States really loved this game and it's cult following was the main reason that they brought it back on the Gameboy, Super Nintendo, and now Gameboy Advance and Gamecube. Metroid is still one of the greatest and most innovative games of all time and FUN to play.